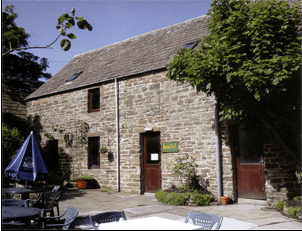 St. Margarets Hope Backpackers Hostel is situated in the centre of St Margarets Hope village, South Ronaldsay, the southern island of the Orkney archipelago. The three star hostel has a fully equipped kitchen, a spacious lounge to relax in, double rooms, family rooms and single accommodation only 50 yards form the bus station, the local shops, pubs and restaurant. The Hostel is only a couple of minutes walk from the Pentland Ferry terminal, and the bus stop for Kirkwall/Stromness is just across the road. Within St Margarets Hope there is the Smiddy Museum (old blacksmiths museum), The Croft Gallery, Hoxa Tapestries and an excellent 9 hole golf course. South Ronaldsay has many historical sites, from World War II battery emplacements at Hoxa to the 5000 burial site at Tomb of the Eagles.